we did not get around to officially sending out holiday cards (gasp!) so we will let this first image suffice as the 2008 holiday card from the chesters! of course A had to have a pink tree in her playroom this year and it's decorated with ornaments that she has made over the last few years at school. 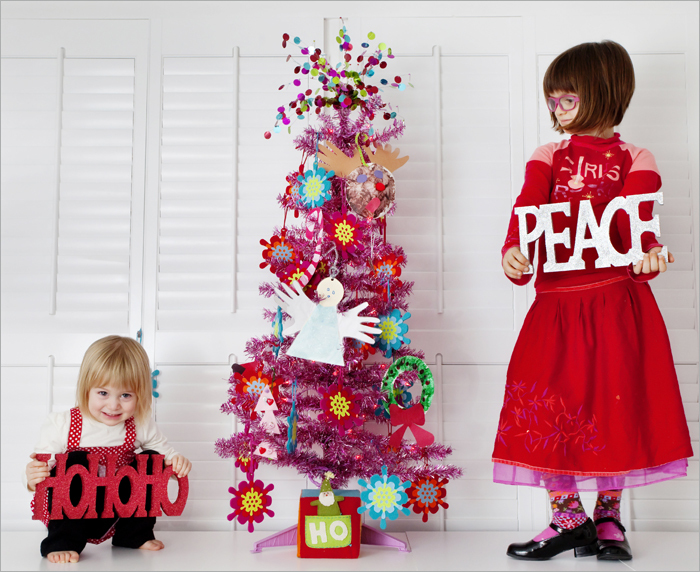 in this shot they are both standing on a huge toy storage table in their playroom spreading some holiday cheer! yes, A did get those black shoes that make a click-clack sound when she walks from santa (they were #2 on the list) and yes she will probably wear them non-stop from now until next christmas! did i mention that we have all hard wood floors in our house?!? and L, i could just eat her up!!! A loves everything about the word love! she writes it on all her artwork and she made scott + i these 'love' cards for christmas! she picked out these tiny glass red keepsake hearts for gifts and handed them out to all the family today along with handmade cards. talk about melting my heart! ahhh, she is so sweet! 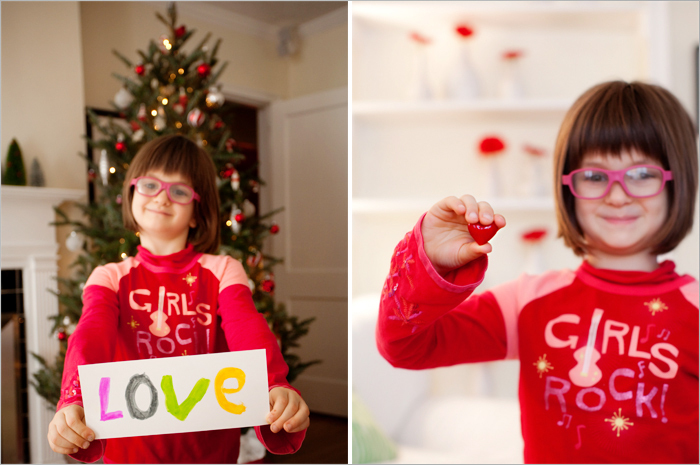 we wish you + yours much peace, love + hohoho this holiday season!